Many thanks for the jacket that you supplied me for the Yukon Arctic Ultra. [It] performed perfectly in temperatures down to -35C. Dr Stuart Gillet (wearing a prototype Yukon jacket). 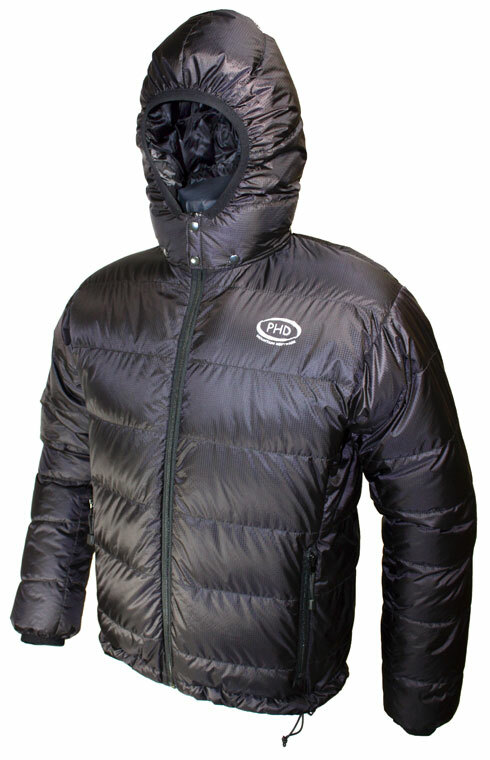 This lightweight down jacket was designed for the Yukon Ultra Race where competitors may be facing temperatures down to -30°C (-22°F)*, but weight and space are at a premium. 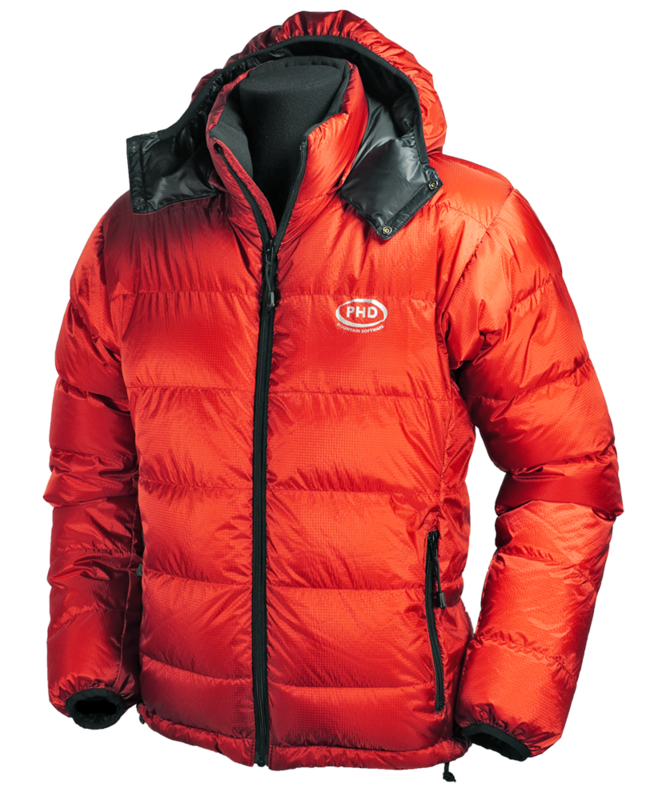 Now filled with our exceptional 950 down the Yukon Jacket is lighter than ever, but just as warm. 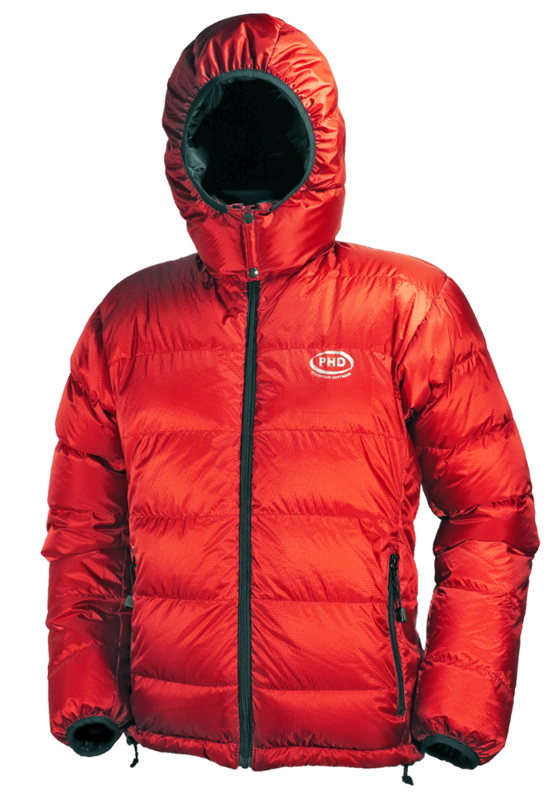 Weighing only 460gm (16oz) complete with hood, it has the superb fabric combination of water-resistant Drishell outer and superlightweight MX inner, but box wall construction and extra fill of 950 down boost its performance well beyond the rest of our Ultralight clothing. 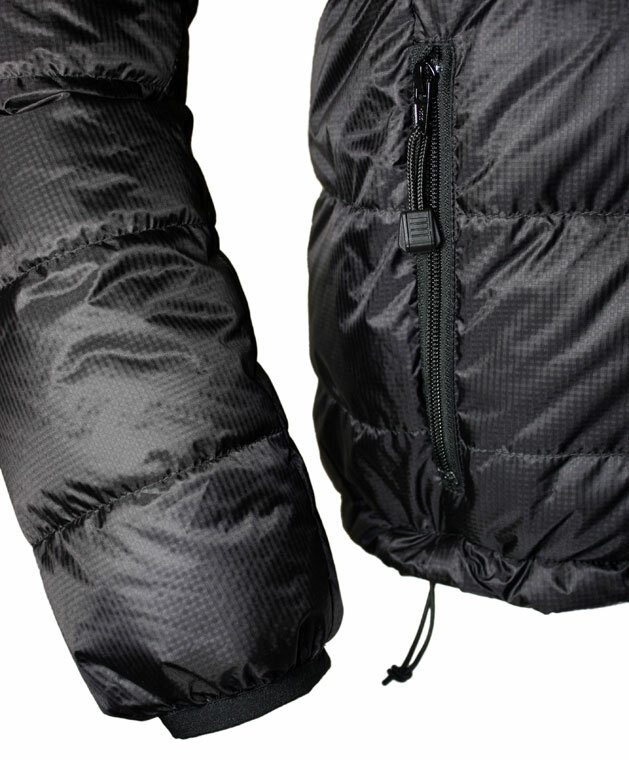 The handwarmer pockets are zipped to keep out blowing snow and there is a stretch drawcord in the hem. This is not designed as a high mountain jacket like the Xero. But when the kit has to be ultralight and stitch-through jackets are just not warm enough, the Yukon can be the ideal choice. *Note Temperature rating. Race competitors balance comfort against weight by a different scale to most other people. 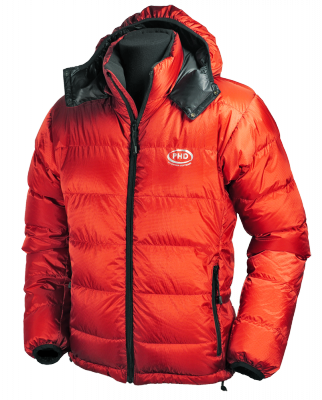 The Typical Operating Temperature (TOT) is the NORMAL rating for this jacket, while -30°C is the racers' rating. This jacket is part of PHD's 'Ready Made' range. In stock and ready to ship within 5 working days. New! Also available in Custom Sizes. Specify Body Width, Body Length, & Arm Length independently. "Many thanks for the jacket that you supplied me for the Yukon Arctic Ultra. [It] performed perfectly in temperatures down to -35C. The light weight and small size was also a huge help and helped me gain second place in the race. I ... am now the second fastest person over the course and the fastest European." — Dr Stuart Gillet (wearing a prototype Yukon jacket). "Without PHD kit I would have been toast." — Jacob Hastrup 2nd place in Yukon Arctic Ultra 100 mile race. 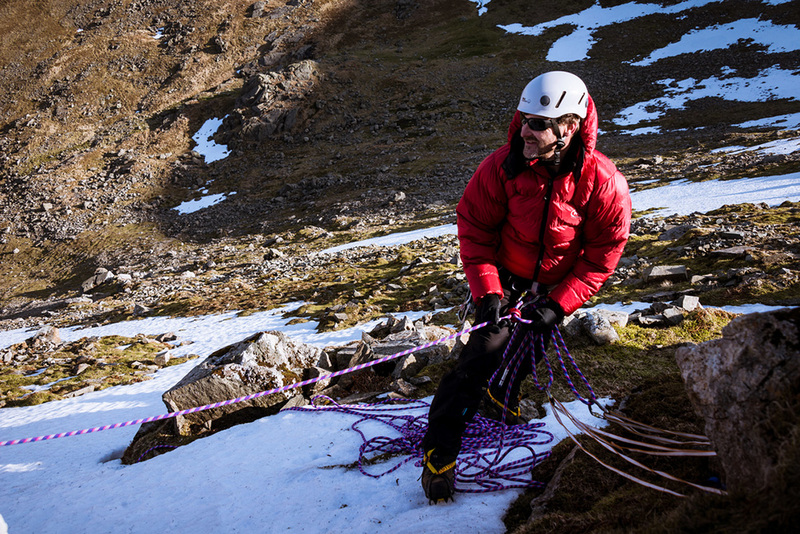 "Thanks again for getting the Yukon jacket too me in time for my expedition to Peru, as you would expect it performed flawlessly - it came in handy when we had to make an unplanned bivi at 6000m." 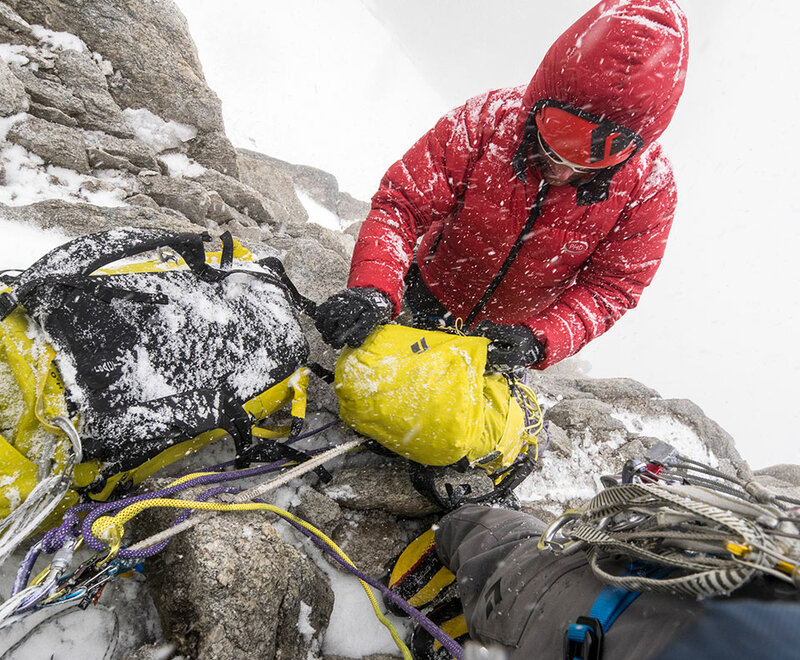 "I used a Yukon down jacket with Gore-tex outer on the expedition. 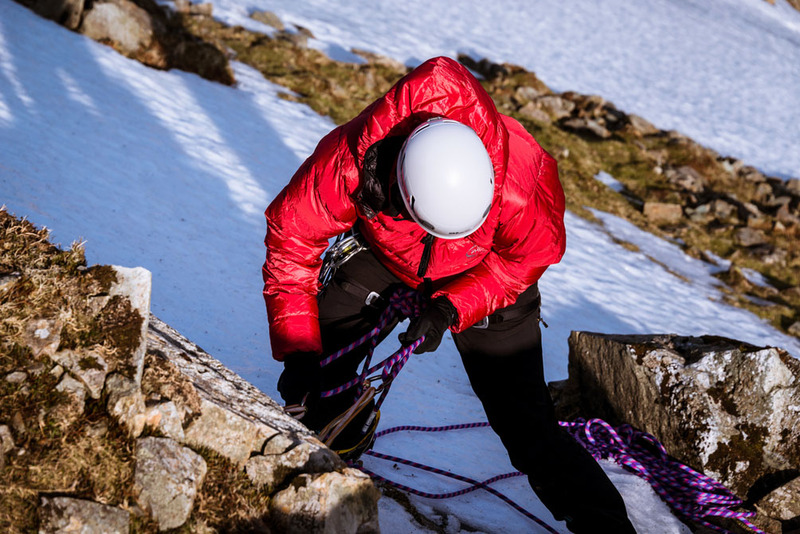 It packs down small (half the size of my previous jacket), it's great for early starts and when the snow starts falling." — Dominic Southgate - Imperial College Reru Valley Expedition (Zanskar Himalaya, India). "I was leading really thrutching pitches in the dark late at night and was sure I would have ripped it to shreds, but not a scratch." 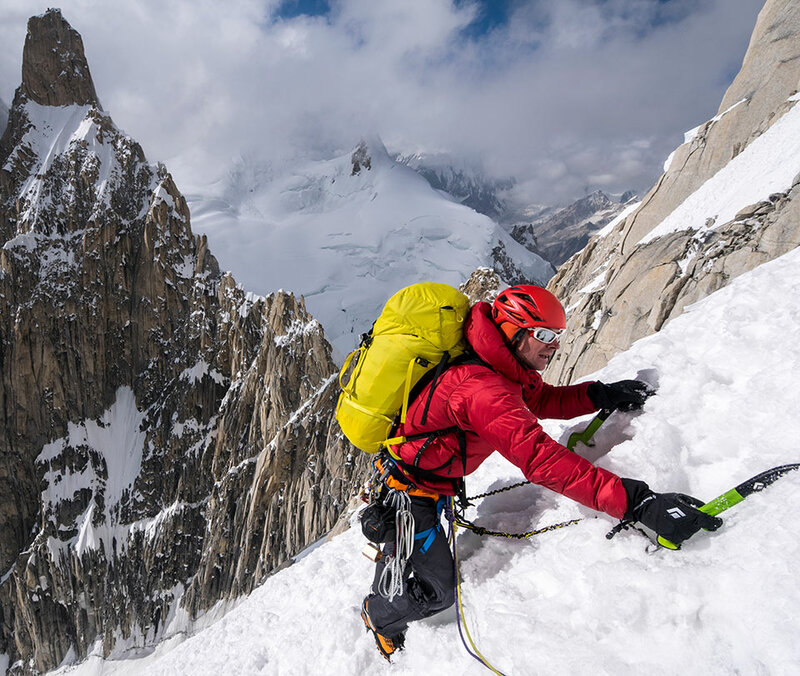 — Jon Griffith on his one day ascent of the Bonatti Vaucher on the Jorasses north face using a PHD Yukon Down Jacket in Drishell fabric. "For more serious winter outings I use PHD's Yukon Down Jackets. PHD make the best lightweight kit on the market. I just wouldn't go Munro bagging in winter without mine. It's fab." "Ben was impressed with the Yukon Jacket I bought for him. In fact, we ended up fighting over it on more than one occasion! Again, simplicity of design, total warmth, amazing lightness and quality of manufacture was what made it stand out from the rest." "Thank you for the Yukon jacket! It fits super, is warm and nicely made." "Just wanted to thank you for the prompt delivery of my Yukon down jacket. It is fantastic and I have worn it constantly since it arrived."